The Addison Real Estate Market continues to see good market conditions despite the extremely low inventory. 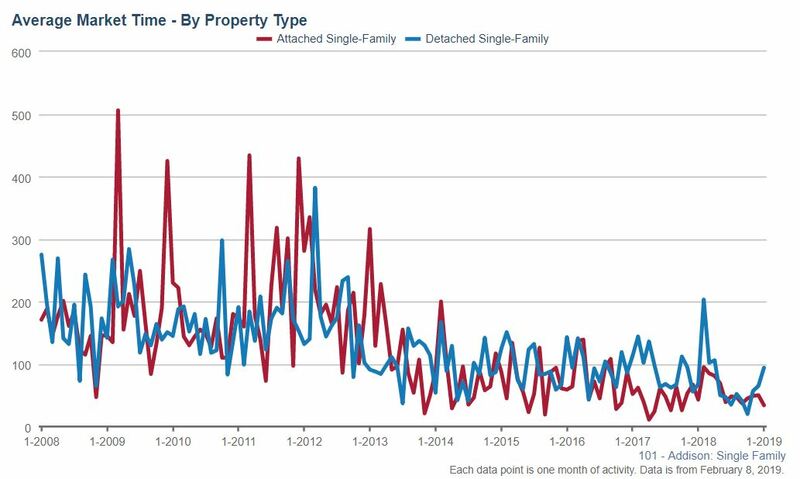 Single family home sales decreased more than 14% in January. 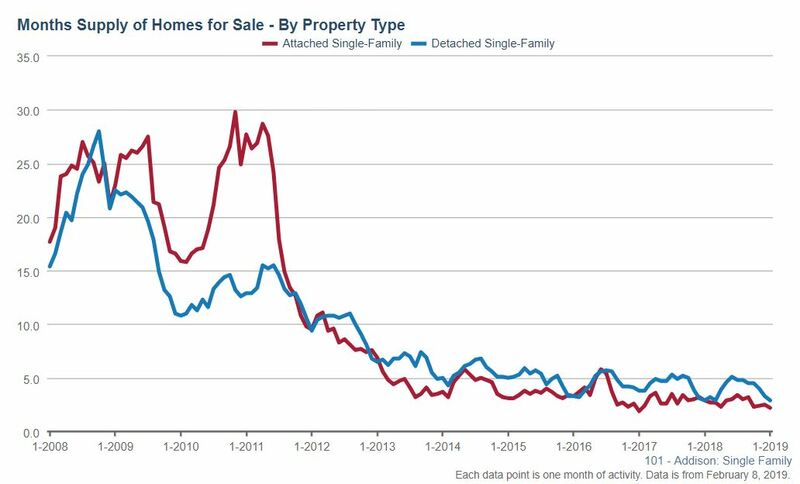 Although the home inventory is increasing, the extremely low inventory is still making it really difficult for buyers to find a home, benefiting home sellers. Single family home sales in Addison decreased 14.3% in January. 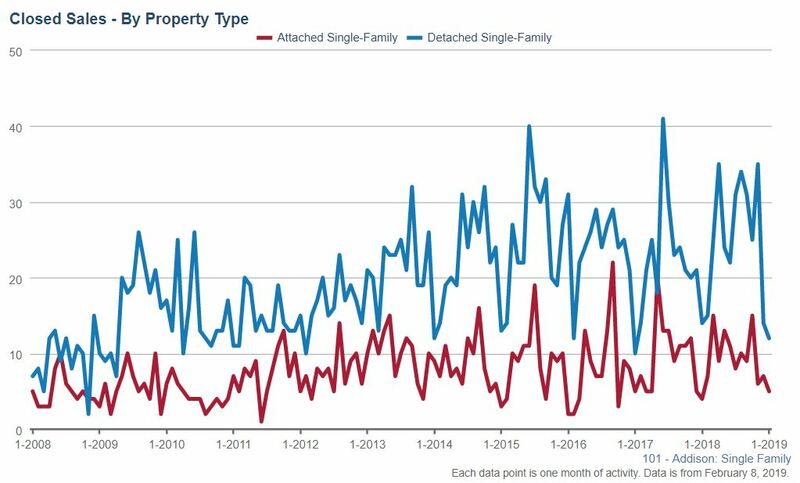 12 single family homes closed this year compared to last year at the same time when there were 14 closings. Condo and townhome sales increased 25% in January with 5 closing this year compared to 4 closings last year the same time. Market times for single family homes had an increase during January. 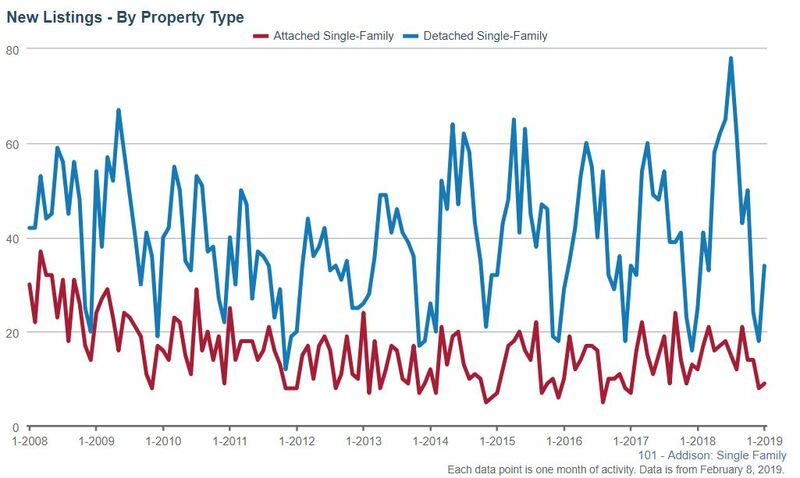 Single family homes were on the market for an average of 94 days, compared to 68 days in January 2018, a 38.2% increase. Condo/townhome market times had a decrease of 20.9% this January with the average market time of 34 days compared to 43 days last year at the same time. During January 2019, 34 single family homes were listed for sale in Addison, an increase of 36% compared to the 25 new listings last year. New condo/town home listings had 9 new listings this January compared to last year at the same time when there were 12 new listings, a 25% decrease. 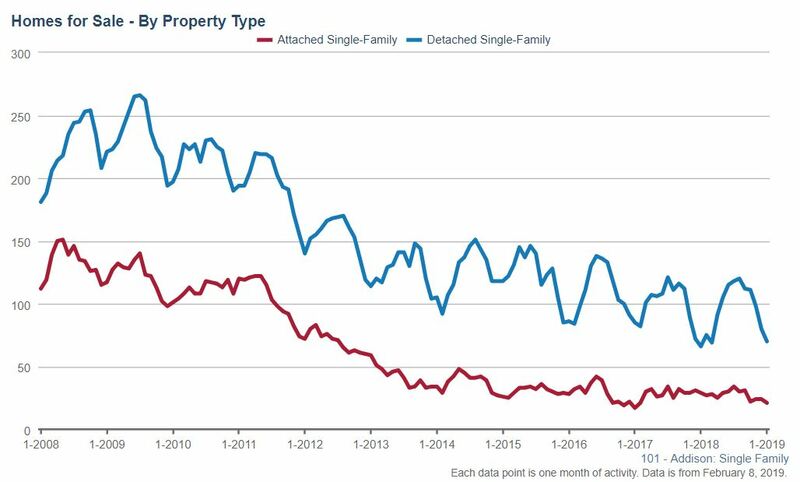 Addison single family home inventory is still super low. January ended with 2.9 months of supply, the exact same amount as last year at the same time. The months supply of condos/townhomes had a 24.1% decrease from last January with only 2.2 months supply for sale this year compared to 2.9 months last year. Anything under a 5 month supply is considered favorable conditions for sellers. At the end of January there were 70 single family homes for sale in Addison, a 6.1% increase from last year when there were 66 homes for sale. The number of condos and townhomes for sale decreased with 21 for sale this year, a 27.6% decrease from last year when there were 29 for sale.